In 2009, the US Air Force collected over 1,800 hours worth of data a month from video surveillance systems, most of which comes from those unmanned vehicles and drone planes used to scout the battlefields of Iraq and Afghanistan. That’s a whole lot of video footage; indeed, it is too much for the current video system to handle, as every frame of video must be monitored by some unlucky person who has to watch the entirety of it. 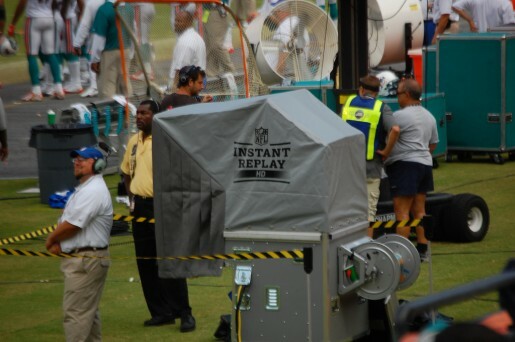 That’s why the company behind the instant replay systems used by the National Football League and Major League Baseball is stepping in to help. The Harris Corporation is the company behind FAME, the Full-Motion Video Asset Management Engine. That’s the system that allows US broadcasters to sort through 70,000 hours of video PER DAY. How FAME works is via the magic of metadata, which basically tags every second of film with crucial information such as the date, time, location, and what particular system took the information. That allows reviewers to access all pertinent video footage from a specific place in minutes, not weeks.